Juicing as an easy way to get more of the benefits of fruits and vegetables worked into your daily diet. These nutritious foods provide your body with many of the important vitamins, minerals, and nutrients needed for optimum health, but very few of us are getting our recommended servings each day. 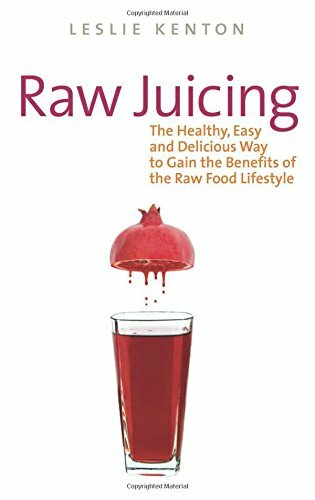 Whether you are new to juicing or an expert in the technique, juicing books can be a big help. They’ll show you the difference between what works and what is simply hype. Juicing books can provide you with a variety of recipes that range from your basic apple or carrot juices to more complex concoctions that blend three or more ingredients into one tasty drink. These books can also offer you nutritional plans that fight specific aliments such as cancer, heart disease, and inflammatory diseases like arthritis. Other juicing books will incorporate personal stories of those who have lost weight and improved their overall health by juicing. Their strategies are spelled out in easy to follow recommendations along with nutritional advice and menu plans. Whether you are interested in investing in a juicer or just beginning with your home blender, there is a juicing book that will help you. 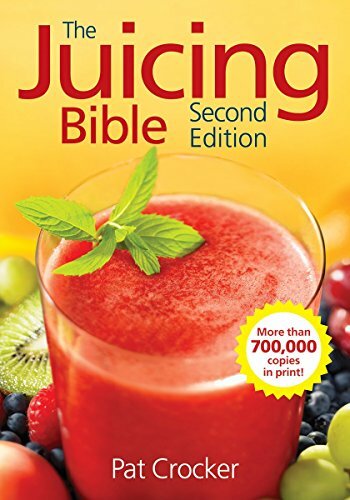 This book is a comprehensive database of fruit and vegetable juicing recipes. The 425 recipes found within its pages will bring you inspiration when trying to include healthy beverages into your diet. They are creative concoctions that use both fruits and vegetables for maximum benefits. The recipes are organized so that you can quickly find exactly what you are looking for. You can search by the nutrients provided, the key ingredients, or the health benefits of each juice. In addition, each recipe will tell you exactly what it is best for. You’ll discover juices used for everything from better looking skin to a boost in energy. The five star system rates each juice so that you can see at a glance how effective it is at improving the skin, boosting energy, detoxifying your system, as well as improving your digestion and immune system. This juicing book is pretty basic. It is perfect for the beginner, but may seem a little too simple for those who are more experienced. Even so, anyone would enjoy this collection of 150 recipes that make it delicious, fun, and fast to begin incorporating more fruits and vegetables into their day. 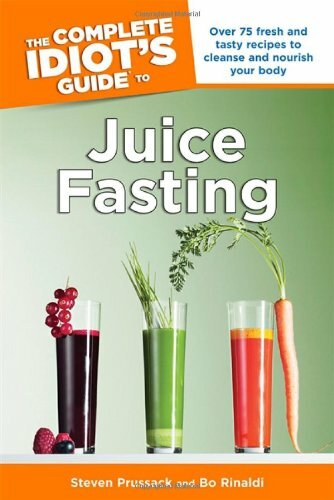 This starter book will teach you the basics when it comes to juicing while exploring several sub-topics such as detoxification and weight loss. The book is divided up into sub-sections so that you can easily find what you are looking for. You’ll discover exactly how to use juicing to get your recommended amount of fruits and vegetable. These recipes make use of the most common ingredients in drinks like their Grape Citrus Apple Juice, Orange-Lemonade Lift Off, and Strawberry Patch Juice. They’ve even managed to include the less ingested yet highly nutritious vegetables in their recipes for Asparagus Squash Medley and Broccoli Apple Carrot with Parsley and Lemon Juice. 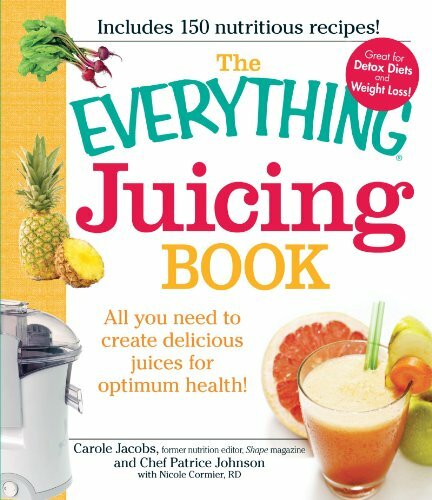 This book is a juicing classic that delves into the topics that are the most crucial when juicing for a healthier body. They have included information that is easy to understand about the general body systems along with recommendations how one can overcome some common health concerns naturally. You will also find information on a vast array of fruits and vegetables as well as herbs. This book contains 350 recipes for juices, tonics, smoothies, and cleansers. Together they cover a wide range of health concerns. Some of the recipes may require hard to find ingredients that you have never heard of, but the more familiar you become with juicing, the more likely you are to try some of these more obscure items. One smoothie or juice made from celery, kale, spinach, cucumber, or any of the other nutritious green vegetables can be extremely beneficial to your organ health, weight loss, and immune system. 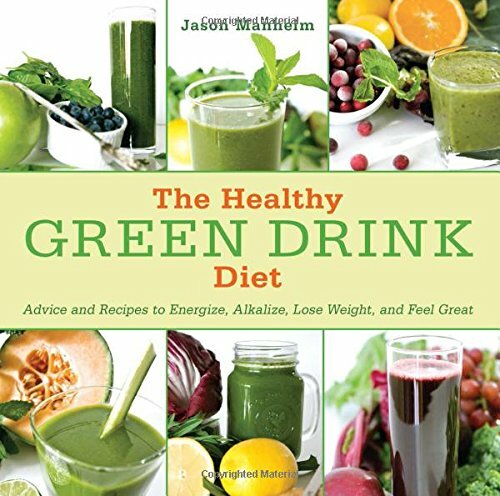 This book was created by the healthygreendrink.com founder. It provides an excellent argument for making these green drinks a part of your daily regime. This is an excellent beginner’s book for anyone interested in juicing more of these green vegetables. It is extremely helpful for those who are just starting to juice or who want to include more vegetable into the process. The recipes taste great, and many don’t even require a juicer to make. The text is laid out nicely with pictures that can be quite helpful. The Juicing Lady, Cherie Calbom, is the co-author of this educational piece. It is extremely useful as well as informative. Most of the pages are dedicated to common health issues and ailments. Each condition is addressed by including general recommendations along with dietary modifications that can treat it. You will learn which nutrients will help each health issue the most along with recipes for foods and juices that will include these required nutrients. This book addresses 75 different health problems. This may be one of the best publications on juicing when it comes to treating specific aliments. 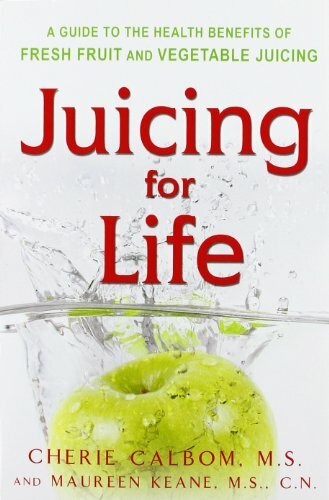 This is another great book by The Juicing Lady. 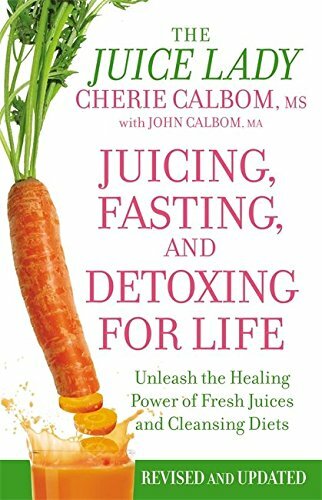 In this publication, Cherie Calbom has created a complete guide to detoxing with juice. It also includes ways to detox additional toxins such as emotional and mental baggage. You will learn the ins and outs of juice fasting and detoxing properly in a manner that provides the maximum benefits to your body. Within this juicing book you will discover detailed information that covers kidney cleansing, colon cleansing, emotional cleansing, and liver cleansing. The majority of the recipes recommended in the pages of this book will focus on vegetables. They are not created for beginners or juicers who are looking for a tasty treat. It is meant for those who are serious about detoxing. In here you will find recipes that are great for juicing. Each one provides instructions on how to create a juice that tastes wonderful while being beneficial to your body. Many will find the challenge of a juice fast to be finding recipes that they won’t get tired of. These nutritious recipes have enough flavors to keep you going. As an idiot’s guide, this book will keep information and recipes simple. Simple doesn’t mean unappetizing. Each juice is delicious while being a nutrient and vegetable rich drink. If you plan to do a juice fast, this is the guide that will keep you motivated. If you are looking for recipes that are varied, sweet, or alcoholic, this book is for you. Raw Juicing will offer you creative drinks that are perfect for any social occasion. 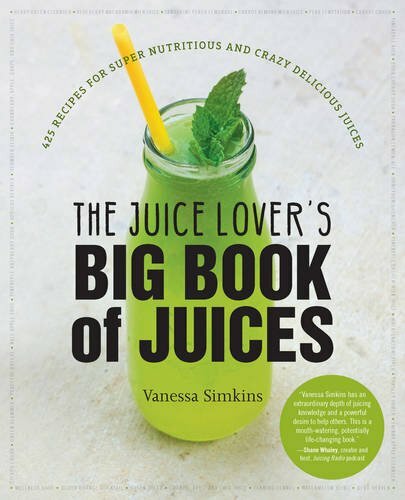 Unlike other juicing books, this one provides creative twists that take juices a step above the ordinary. The highly imaginative recipes still focus on health benefits. Each one includes a description of the juice’s nutritional value as well as the taste of it. In addition, helpful suggestions along the way provide you with taste enhancers for those harder to palate combinations. The Gerson Therapy does a wonderful job of explain to you just how beneficial juicing can be. This book has been frequently mentioned in the news, the health community, and the wellness blogs. 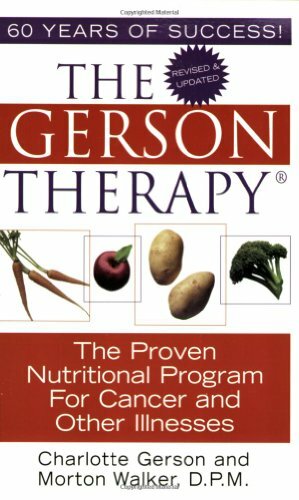 This is due to the fact that The Gerson Therapy has been used for more than 60 years to help people overcome many diseases that have been called incurable. This includes emphysema, cancer, arthritis, and more. Within these pages you will learn how to change your body chemistry in order to heal yourself of illness and disease. Specific advice is offered for each particular ailment. Juicing techniques and helpful tips are shared with you so that you can maximize the juicing’s healing powers. This book comes from the same person who created Fat, Sick, and Nearly Dead. Joe Cross is a devoted advocate of juicing. In these pages he will show you the same plan that he used to overcome obesity, bad habits, and poor health. It also includes the success stories of others that have used the same plan. Joe walks you through his accomplishments by describing his life before juicing as well as his attitudes towards fitness and food. 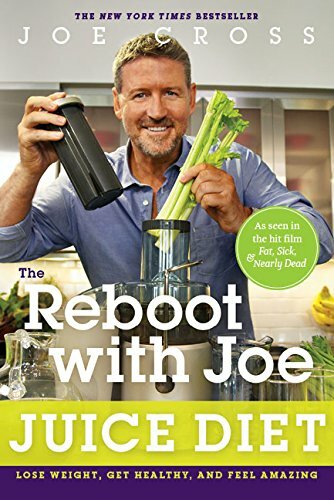 In addition to his amazing story, The Reboot provides you with the tools you will need to start your own journey to a healthy life, including encouragement, inspiration, diet plans, and recipes.